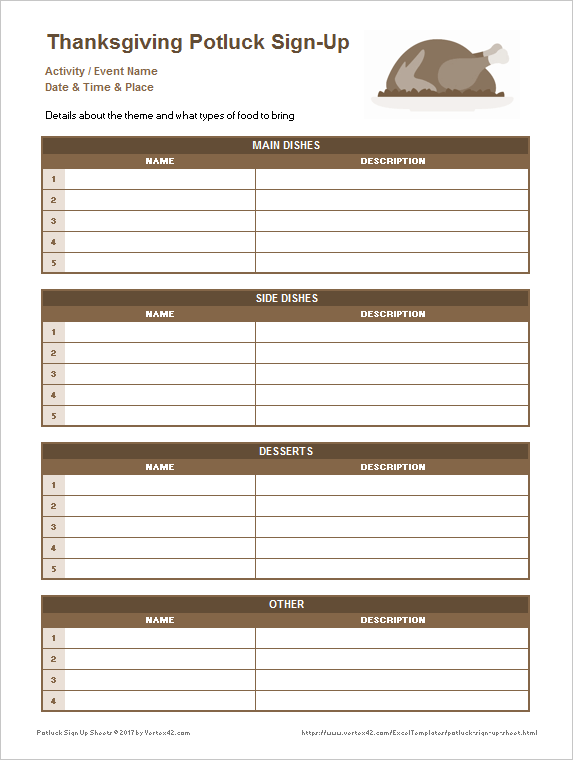 Whether you want a printable potluck sign up sheet that you can pass around at a meeting or an editable Google Sheets version that you can share via email, you will find what you need here. We've created a couple generic designs as well as a few for specific events such as Halloween, Thanksgiving and Christmas activities. 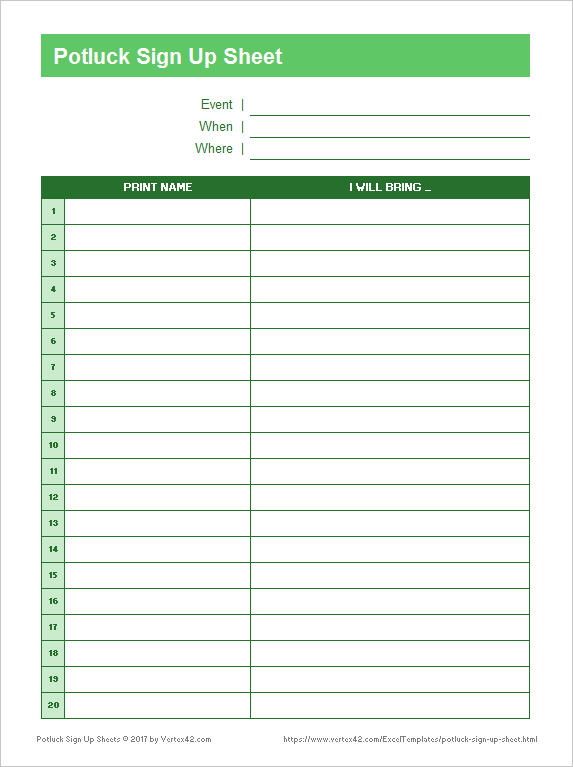 This template lets you list details about the event and suggestions for what to bring. There is also a Food Type column that can help you quickly figure out whether you have enough desserts or main dishes or side dishes. You can unhide rows above the table to see a count for each food type. This template is about as simple as it gets. It is based on the original version created in 2009 found on the Sign Up Sheets page. 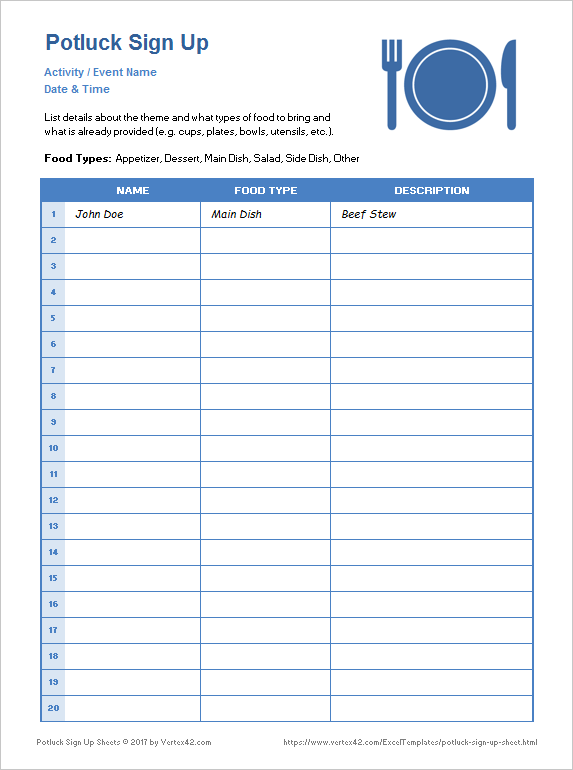 This template uses separate lists for different types of dishes so you can control the number of people signing up for each type. 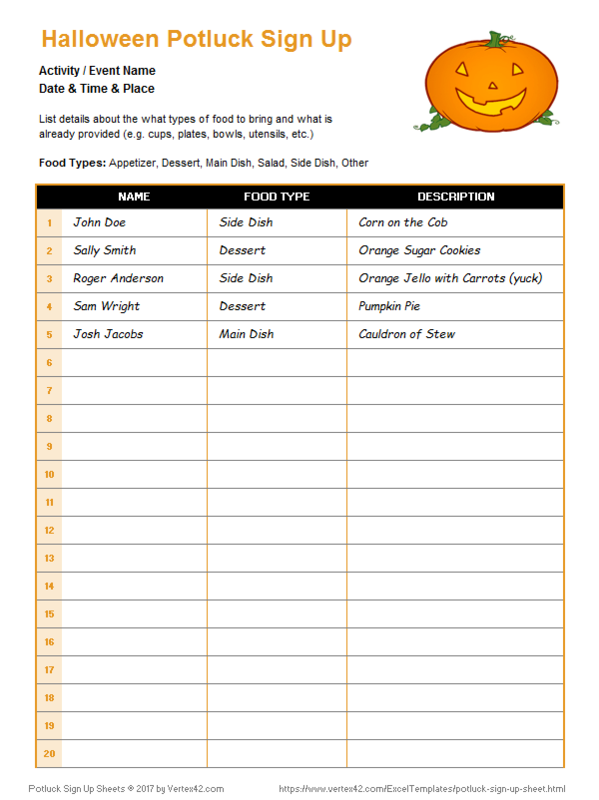 Although designed for Thanksgiving, you can change the title and the image to use it for any potluck activity. 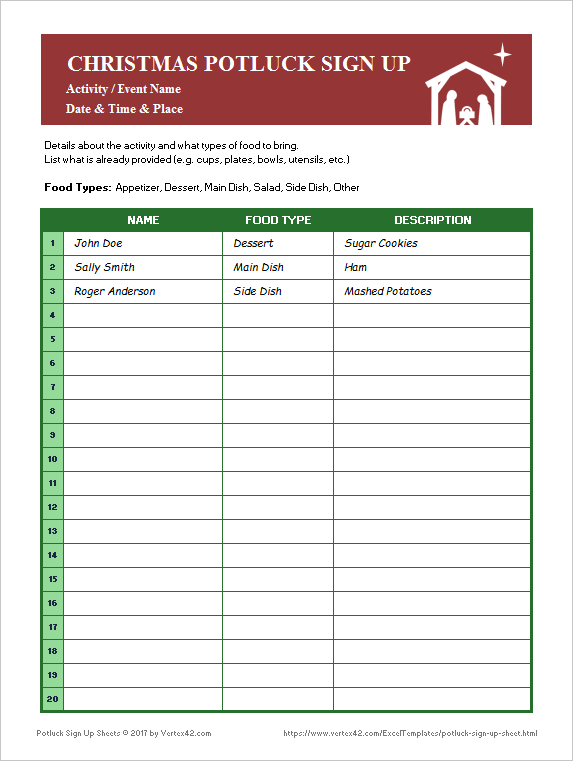 To make sure that you have specific food items, you can pre-populate the list with the descriptions of the dishes so that people just add their name next to what they will bring. If there is a theme beyond Christmas (The Grinch, Santa, Nativity, etc.) make sure to provide details about that, especially if it would influence what types of food are brought. Modify the list of food types based on what you want people to bring. Check out the corresponding Christmas Flyer template.